There is now a worldwide reference point for air pollution for many pollutants that will irritate the lungs of people with lung disease. This Hippocratic Post article is aimed at the elderly and of course many of us aren’t getting any younger! 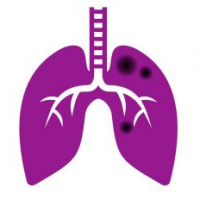 We have established that any person with a pulmonary aspergillosis can play a part in maintaining lung function long term by remaining active and taking some exercise each day – 15mins of whatever exercise you can safely manage every day is a good maintenance guide but consult your doctor for specific advice. In a speech at the Annual Marie Curie Palliative Care Conference 2017 Professor Gunn Grande will talk about better ways that clinicians and healthcare professionals can better care for their patients by engaging with the people who have the most input into the patients care and daily life: the carer(s). There are many obstacles to better communication with carers, not the least being that many people are in a carer role and yet do not think of themselves as carers, identifying a child, a wife, a husband. Julia White has published a thought provoking article on her experience of getting her asthma under control with the help of yoga. After several months works she was able to sense an asthma attack coming on and use yoga to relax and calm herself.